Refresh your looks with our modern and smart patterns. Try our Magnificent Ensemble where the traditional Anarkali style has been revamped with halter neck pattern. 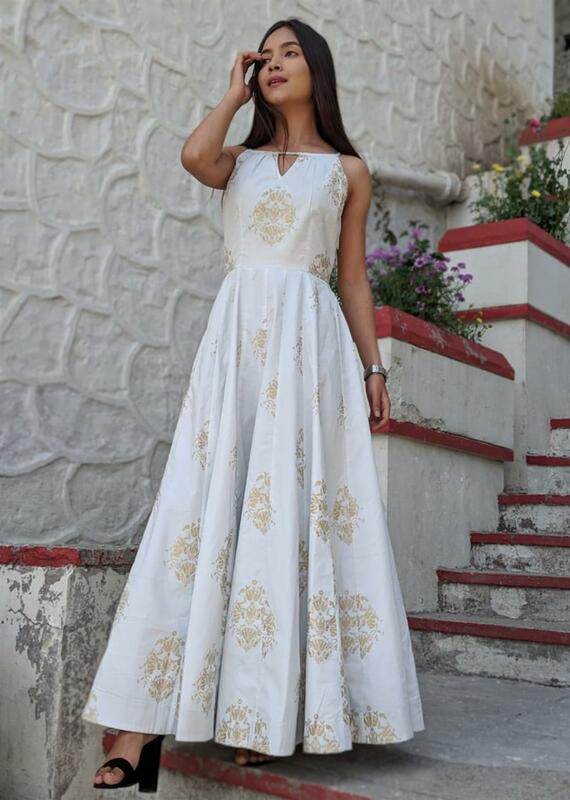 The dress is outstanding, and the golden block prints on white base further accentuate it. The material used in making this long dress is high-quality cotton which delivers complete comfortable feel.